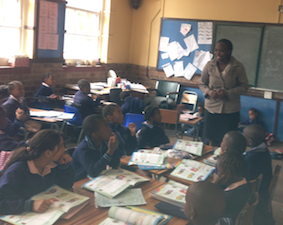 Soon it's the first day back to school for all South African schools! As the summer holiday comes to an end, many teachers would spend the last week doing preparation and planning. 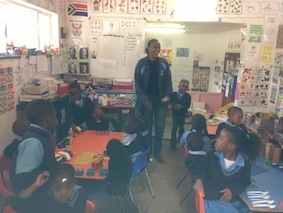 Going into school and organizing the classroom, so that when the children arrived everything is ready and organized. The first week of the school year is where you, the teacher, sets the boundaries and the children begin to get to know you and you get to know them. For teaching to be effective and successful a relationship of trust and care needs to be developed with the children. One way is to find out who the children are - get them to introduce themselves and perhaps ask them to tell you something interesting about themselves. For example - What pets do they have? How many brothers and sisters are in their family? 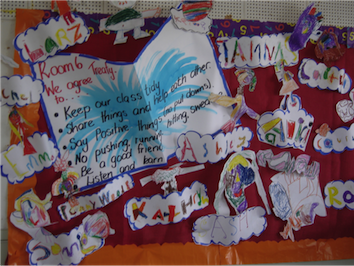 Or, ask the children to share something that they would like the class to know about them. These little ice-breakers also help us, as teachers, to learn a little more about the children we will be teaching in the next year. Building the trust with your children is partly achieved by involving them in creating the classroom rules. They would also be more inclined to buy into the rules if they helped to create them. Next step, each group to name and explain their most important rule. Each group gets a turn to share a rule. Make sure that the rules reflect your school's philosophy. Don't have to many rules, between 5 and 10, and keep them simple. The class should take part in all aspects of this process. Make the children a copy of the rules, at the bottom of the rules add a section for children to sign agreeing to abide by the rules. You should sign it as well, on each child's copy. These rules could be pasted into the child's homework book. Ask the children to discuss the rules with their parents as well. If you have a class website or blog, post a copy of the rules there as well. Was my classroom the caring space I wanted it to be? What have I learnt about the children I teach today? May your classroom spirit be caring and considerate for each child you teach! Have a wonderful teaching year! I would love to hear from you, the readers, please email me at: karen@walstra.co.za . Follow me on Twitter @KarenWalstra. Add to the conversation on the Blog comments! Be inspired! If you would like me to do workshops with your staff, view the website and contact me on the Contact page.